In winter, the streets of Tokyo turn into a winter wonderland of lights. The beautiful LED decorations that light up trees and buildings are called “illuminations”. Of course, there is no need to say that they are popular dating spots. 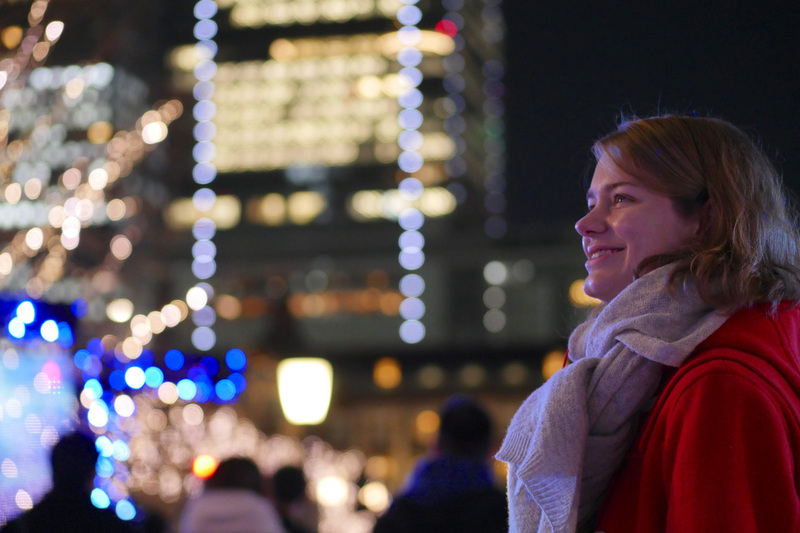 Today, I will introduce my personal best 3 “Tokyo Illumination Spots”! 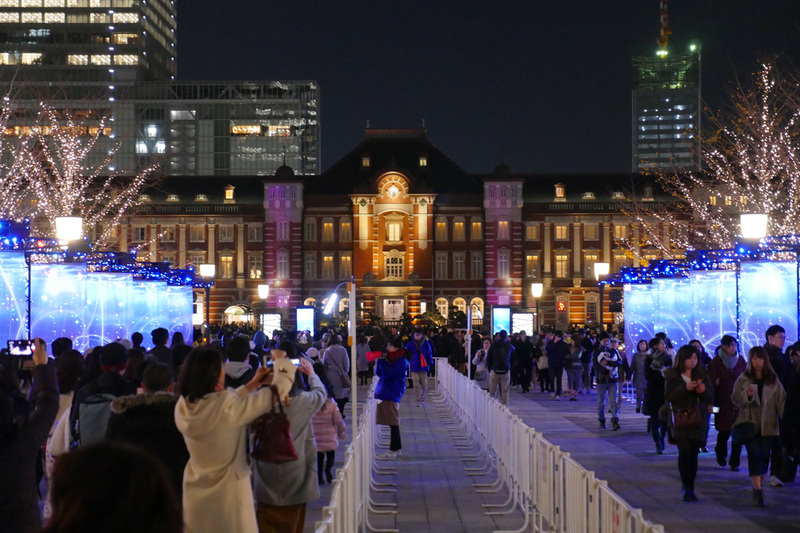 Screens with sparkling light projections line the street facing the historic red brick building of Tokyo Station. These beautiful images represent the elements “fire”, “water”, and “wind”. It’s a modern version of the Japanese winter illuminations. Of course, the trees are decorated, too. The glow of the tree illuminations wrapping around Gyoko street turn the whole area into an ocean of lights with the station building floating on top of it. 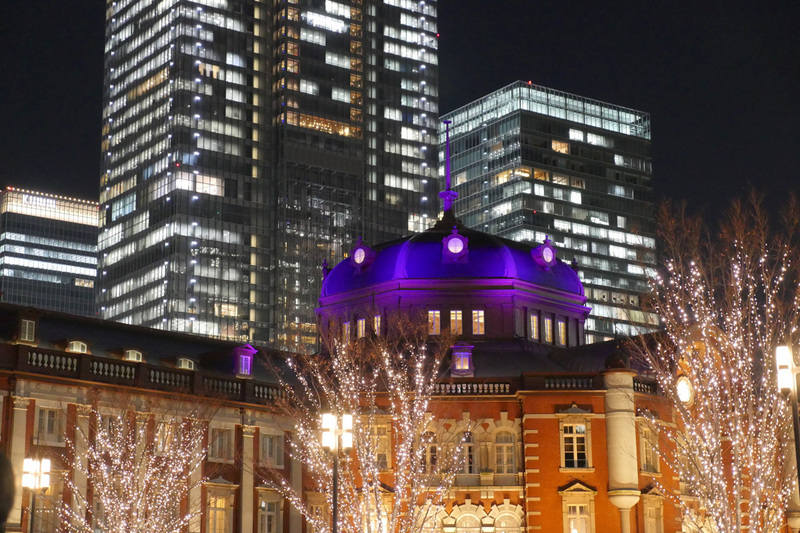 Follow the lights and walk towards Tokyo Station. 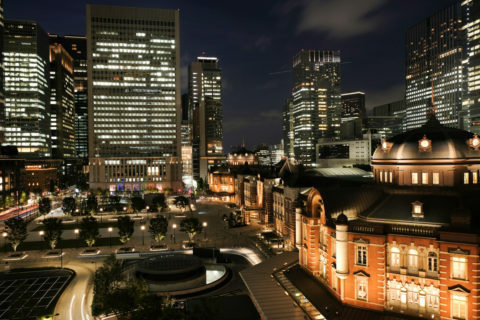 Images of swirling lights are projected on the Marunouchi side of Tokyo Station, gracefully emerging from the shadows of the night. 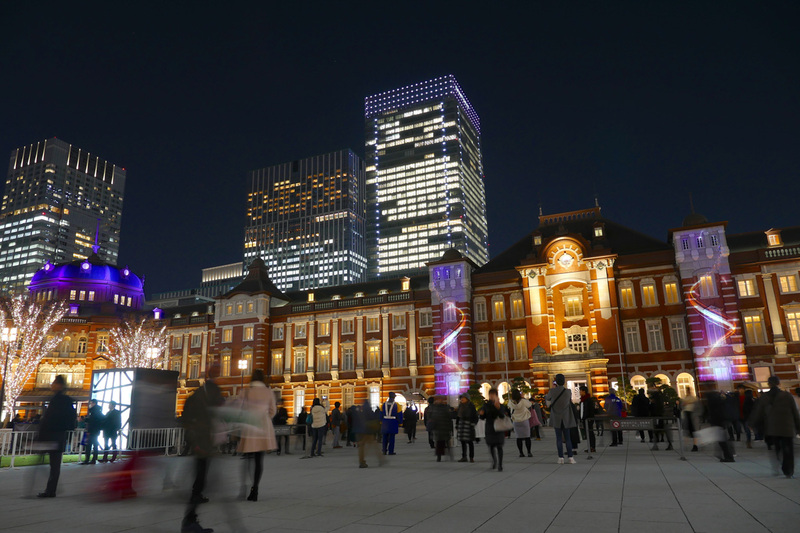 The illuminations around Tokyo Station are a brilliant fusion of OLD & NEW you shouldn’t miss! 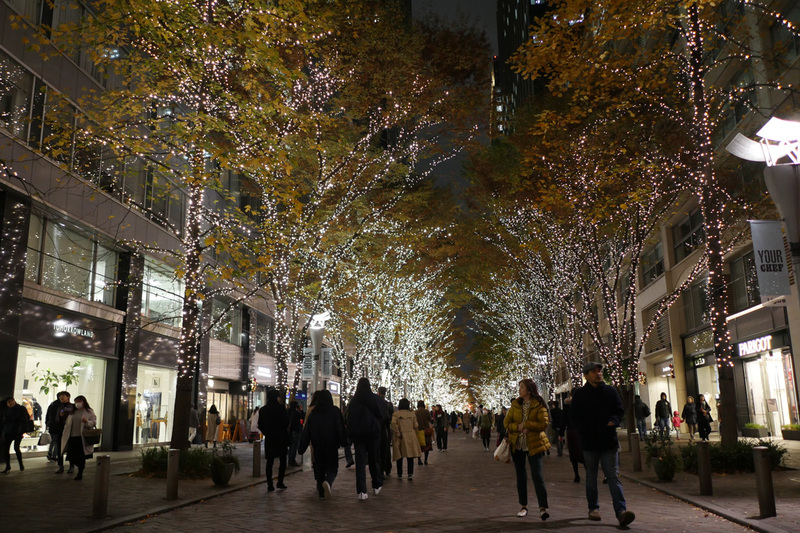 Over 200 trees line “Marunouchi-Naka-Dori Street” which is a popular luxury brand shopping street close to Tokyo Station. Over 1 million LED lights that come in an original color called “champagne gold” elegantly illuminate the whole area. Its warm light somehow feels like winter in Scandinavia – maybe that’s because of the traditional vibe of the lights that resemble candles. And let’s be honest, window-shopping while watching the illuminations? Sign me up! 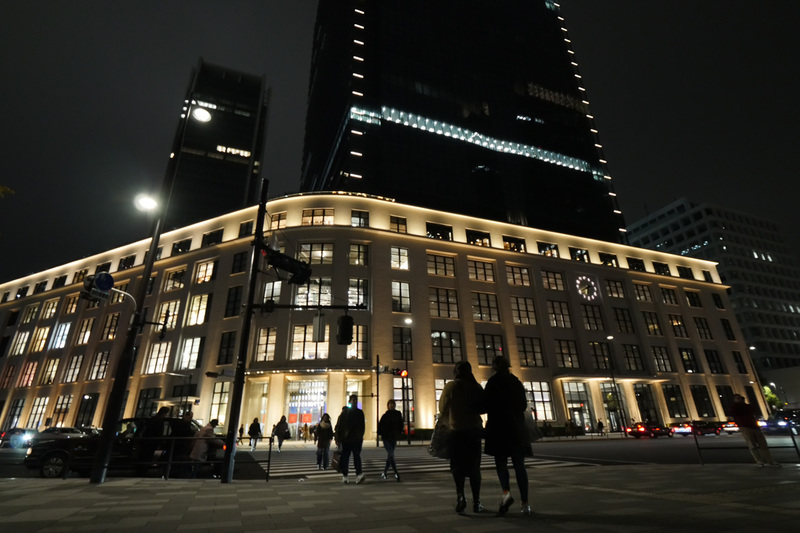 The shopping facility “KITTE” is the former site of the Tokyo Central Post Office. 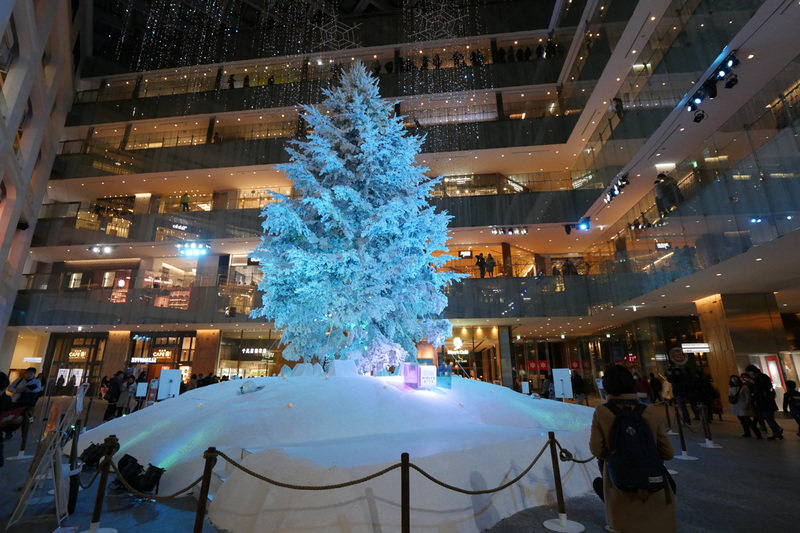 Here, a 14.5 m high (real) Christmas tree – the largest in Japan – awaits you indoors at the center hall of the building. The tree is covered with pure white snow with decorations that change their colors according to the music every 30 minutes. For the 2018/2019 event, the program is called “Precious Ver.”. It features a light installation that looks like snow falling from the sky. And like every year, it’s a must-see! 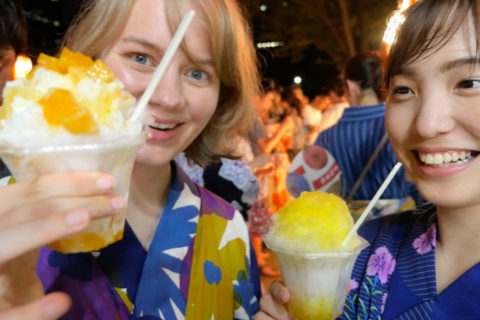 The three illumination venues I introduced in this article are all in walking distance. So put on your winter coat and off you go! Have fun exploring Tokyo’s fantastic winter illuminations! Previous PostRent a boat and enjoy the four seasons of “Chidori-ga-fuchi”! 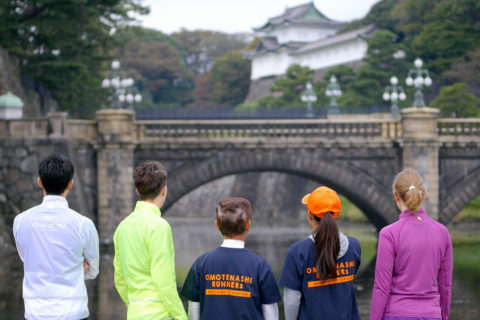 Next PostCombine sightseeing with running – try the Tokyo Imperial Palace running route! 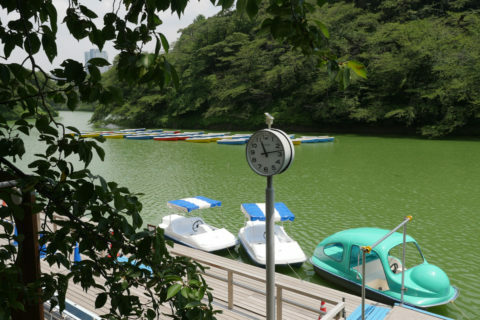 Rent a boat and enjoy the four seasons of “Chidori-ga-fuchi”! 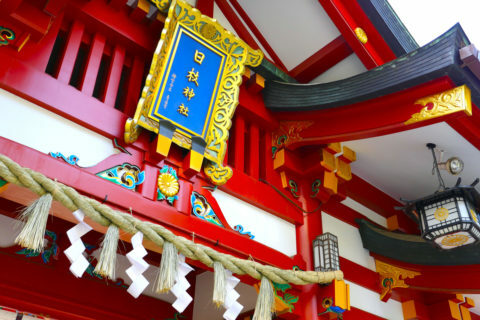 Traveling in Tokyo: The Chiyoda district in Tokyo offers everything your heart desires! 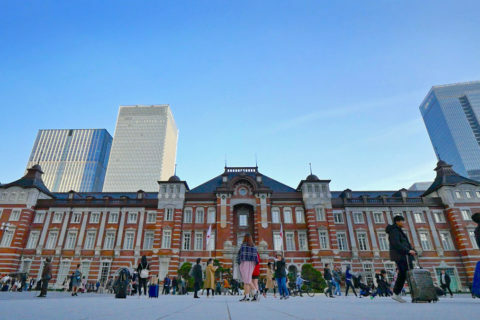 Tokyo now and then – Going on a “time trip”!